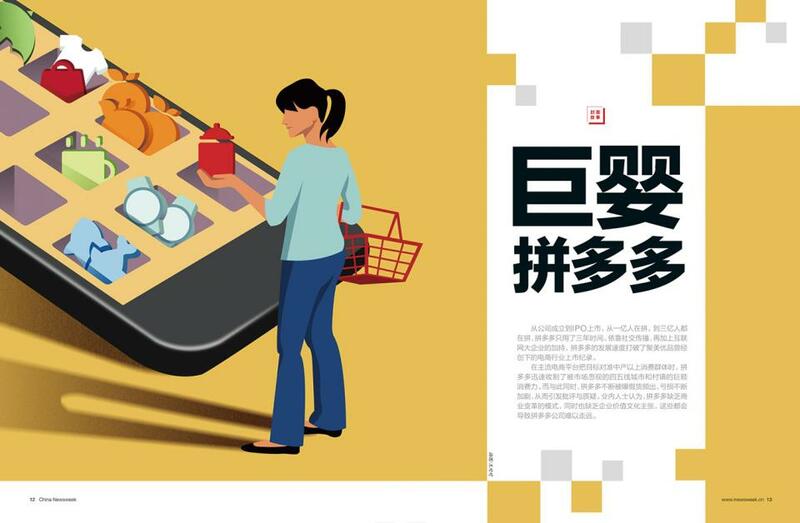 While big e-commerce platforms are focusing on middle-class consumers, Pinduoduo, a Chinese e-commerce platform that enables users to participate in discounted group buying deals through social media, has seen explosive growth since its inception in 2015. While big e-commerce platforms are focusing on middle-class consumers, Pinduoduo, a Chinese e-commerce platform that enables users to participate in discounted group buying deals through social media, has seen explosive growth since its inception in 2015. Pinduoduo mainly targets consumers from third- and fourth-tier cities who have been largely neglected over the years. The low-price strategy, the stickiness of social media, along with ubiquitous marketing campaigns have substantially enhanced its brand awareness. After attracting several rounds of capital financing, the online group discounter registered a user number of 300 million. Alongside its flourishing business, however, consumers have complained of the ubiquity of counterfeits on the platform. Pinduoduo is at the crossroads of corporate development and it will be a major challenge to meet the demands of both users and platform vendors in line with laws and regulations.